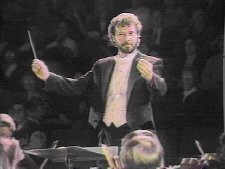 Michael Paul Gibson is one of the most versatile and exciting conductors in the Bay Area. Whether it’s as conductor of Symphony Orchestra, Chamber Orchestra, Concert Chorus, Church Choir, Symphonic Wind Ensemble, Chamber Ensemble, Musical Theater Pit Orchestra - or in the visual arena: video production, photography - or in business: web site design, marketing, fund raising, musical contracting, sound recording and mastering, Michael has shown that his energetic and charismatic leadership garners great reviews and respect from critics, audiences, and participants alike. Thanks very much for your interest. I will contact you as soon as possible. © Copyright 2012 BACH to Music All rights reserved.